Fiona’s work at SEforALL on policy and finance includes Energizing Finance, and the building of the evidence base on finance flows and needs for energy access, the development of the People-Centered Accelerator for women’s empowerment, social inclusion and gender equity in the energy sector and on delivering the energy access dividend through the multi-tier framework. Prior to SEforALL, Fiona was a Senior Officer at the United Nations Foundation, focused on climate change, energy access and finance issues. Originally from Australia, Fiona’s assignments have included roles with the Climate Policy Initiative and UNDP on financing mechanisms for increasing energy access in sub-Saharan Africa and as the climate change and energy adviser to the Deputy Prime Minister and Treasurer under the Gillard Government. Previously, Fiona spent five years at the Australian Treasury where she worked on climate finance and the design and implementation of the (short lived) carbon price. 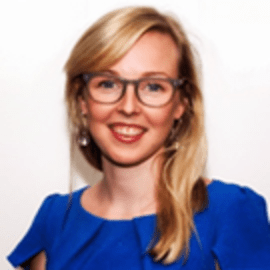 Fiona holds a Master of Public Administration (sustainable energy policy and finance) from the School of International and Public Affairs at Columbia University and a Bachelor of Economics with honors in environmental economics from La Trobe University.